"The true hero’s journey is a much older version of the monomyth and is based on insights primarily gained from oral folklore. It is attuned to the cosmic cycles. Fairy tales contain a complete form of the hero’s journey, and show a calendrical alignment to the cosmic cycles of the Sun and the Moon." - andrea-hofmann308s Webseite! "The true hero’s journey is a much older version of the monomyth and is based on insights primarily gained from oral folklore. It is attuned to the cosmic cycles. Fairy tales contain a complete form of the hero’s journey, and show a calendrical alignment to the cosmic cycles of the Sun and the Moon." 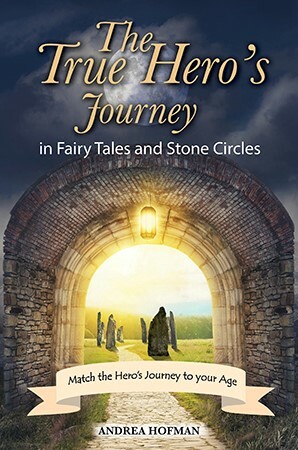 "The True Hero's Journey in Fairy Tales and Stone Circles"
is now available online or in your local bookstore. Hidden within fairy tales lies ancient instruction on how to lead a happier and more balanced life. More than 5,000 years old, fairy tales contain voices from a distant past—timeless matriarchal and astronomical messages that are as relevant today as they were five millennia ago. As a whole, fairy tales tell of a heroic journey that aligns with the cosmic cycles of the Sun and the Moon. Neolithic astronomers tracked this balanced soli-lunar calendar using stone circles such as the former Aubrey Circle at Stonehenge. However, with patriarchy on the rise, the Sun began to be favored over the Moon, and people’s awareness slowly shifted away from the original ancient calendar system. This exclusion of the Moon from time measurement had severe consequences. People lost an awareness of how everything was inter-connected, and even began to belittle, disempower, and even demonize the lunar and feminine. 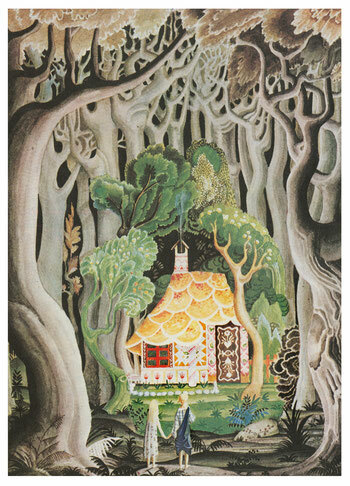 Following these unfortunate developments, Fairy tales served to remind people of the old calendar system and of the way that it had provided them with deep intuitions about life and meaning. Even today, the original version of the hero’s journey can still provide us with vital instructions on how to get back in sync with the natural rhythms of the world we live in. This is especially relevant to those experiencing any imbalance or difficulties in their lives. All one needs to do to attain peace and well-being is to become aware of his or her own heroic journey and start to move back into alignment with the cosmic order, as is demonstrated in these ancient tales. See for yourself how this ancient wisdom gives your life a deeper meaning and guides you to more balance, peace, and happiness. Go to additional tales discussed in the book. they are our very own indigineous Roots! There is much wisdom to be found in folklore. It uses protagonists to exemplify real-life people in real-life situations on their path through real life. Yet, the reason why these tales feel like mere products of fantasy to us is because we do not understand how they were meant to be understood any longer. We think they are untrue, made-up stories since we no longer look at life through the lens of the Neolithic elders, who created the tales. When to us an encounter with an animal in the woods is nothing special, a fairy tale protagonist might view it as an encounter with a spirit helper.